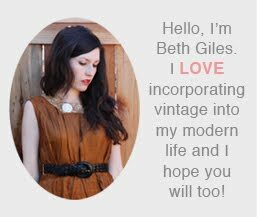 Vintage Clothing Blog | Vintage Wedding Dresses | Salvage Life: Up, Up and Away! 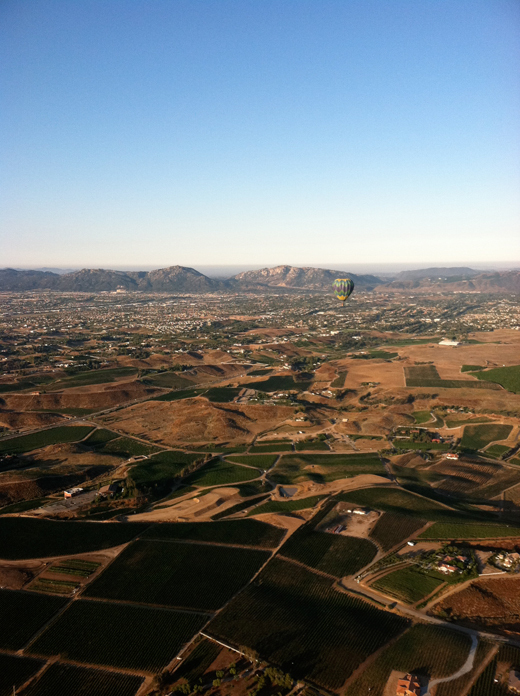 If you follow me on twitter, you probably saw that I was tweeting from a hot air balloon yesterday! I bought my hubby and I a ride from Sunrise Balloons in Temecula, CA through Groupon for Christmas and we finally found the time to use it. 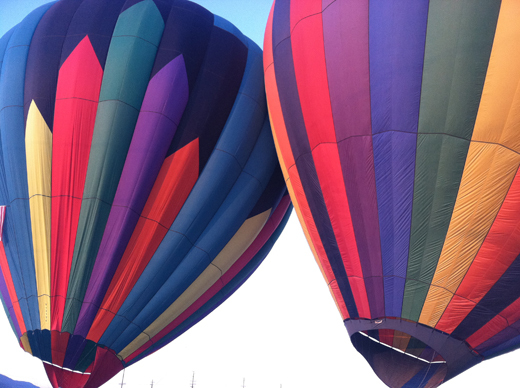 We had to be there at 5:30am, they only fly balloons in the morning due to wind. It was a magical experience and a lot more relaxed than I expected. I don't have a fear of heights, but I expected to be nervous at some point. I never really got to that point. Since you are basically floating and there is no real lift off or turbulence, you almost forget that you are in the air. 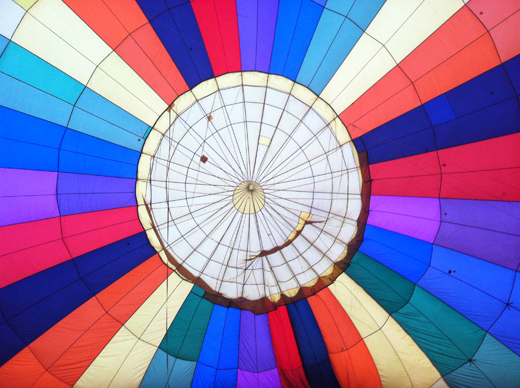 I think my favorite part was going inside the enormous balloon while it was filling up, the top of it looked like a beautiful stained glass window. The ride was about an hour, we went up 3500 or so feet and we could see all the way to the ocean. 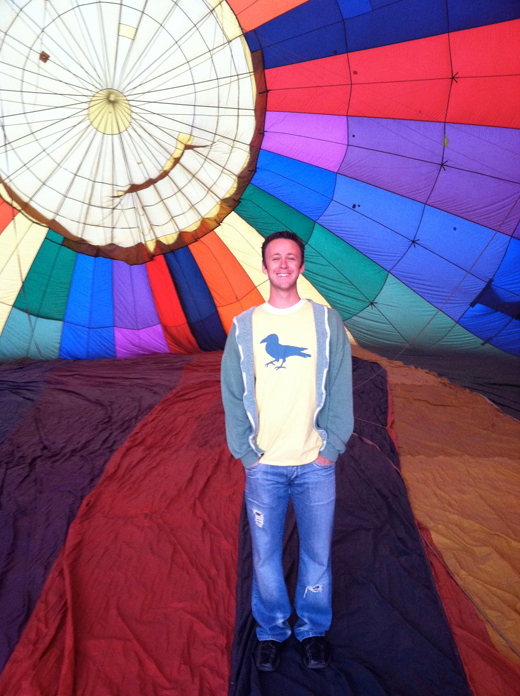 It was a wonderful experience, if you ever get the chance to ride a hot air balloon, I highly recommend it! OH MY! 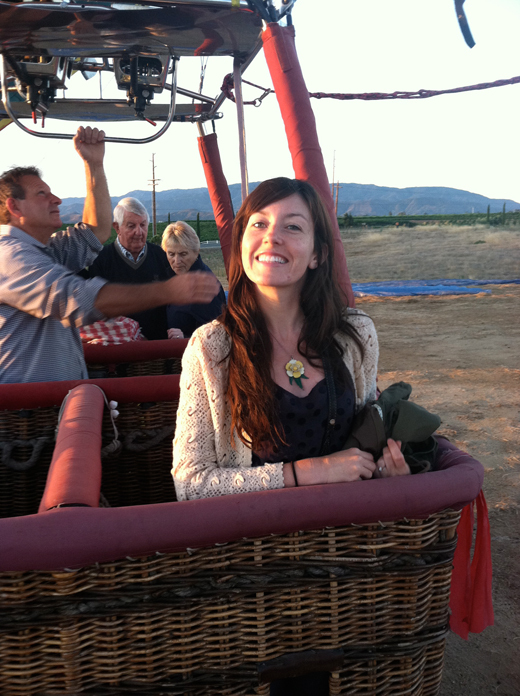 How I love some hot air ballooning. We did our ride over Lake Tahoe (Again very early) The only time I got nervous was the landing...other then that one of the best experiences I've had. I loved reading your tweets yesterday! I really really want to get on a hot air balloon one day. I actually *am* afraid of heights, but I think I'd love the thrill of facing my fear. 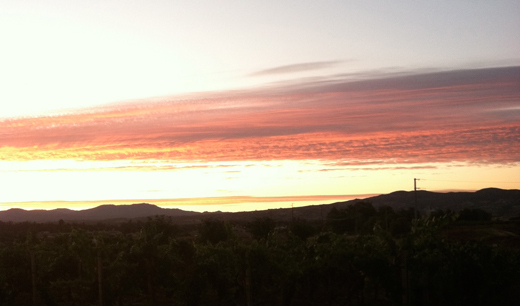 :) thanks for sharing, lovely pics, Beth! looks SO fun and romantic. this is my favorite picture of you. you look so happy! This is a darling photo of you. Looks so beautiful. Nice camera work. So beautiful! I would probably pass out from a major anxiety attack if I attempted this so thanks for sharing your pictures ;) Your necklace is so cute too!